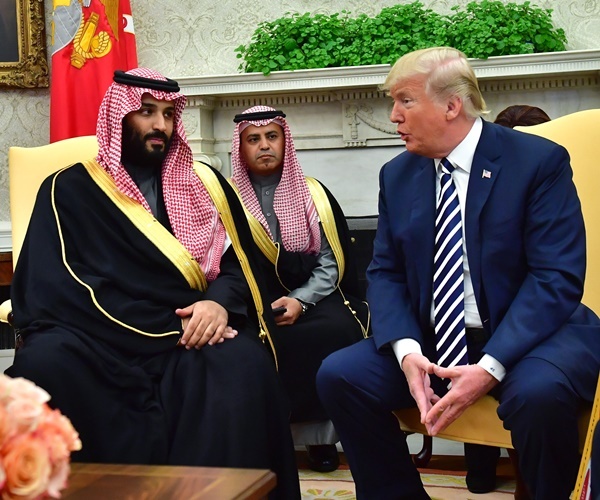 President Donald Trump’s administration is helping the Saudis come up with a statement absolving Crown Prince Mohammed bin Salman (MBS) of any involvement in the alleged murder of Saudi journalist Jamal Khashoggi, The Washington Post reports. The Post, though, says it will be difficult for MBS to avoid scrutiny because “mounting evidence points not only to the Saudi government’s knowledge of Khashoggi’s fate, but to a connection” to the journalist’s disappearance. Bin Salman has denied his Kingdom knows anything about what happened to Khashoggi, a journalist who went missing Oct. 2, following what was supposed to be a routine stop at the Saudi consulate in Istanbul, Turkey. Khashoggi entered the consulate but never came out. The journalist was a Saudi dissident who wrote columns for The Washington Post and in the past has been critical of the Kingdom. Turkish authorities have accused the Saudi government of murdering Khashoggi, a permanent U.S. resident. The New York Times on Tuesday said five suspects identified by Turkish police tied to the Khashoggi case have been linked to MBS or his security detail. One of the suspects was the crown prince’s travel companion and was seen on trips with him in Paris, Madrid, Houston, Boston, and the United Nations. Three others have ties to his security detail and a fifth person is a forensic doctor “who holds senior positions in the Saudi Interior Ministry,” per the Times. Trump on Wednesday said he wasn’t trying to cover the Saudis.